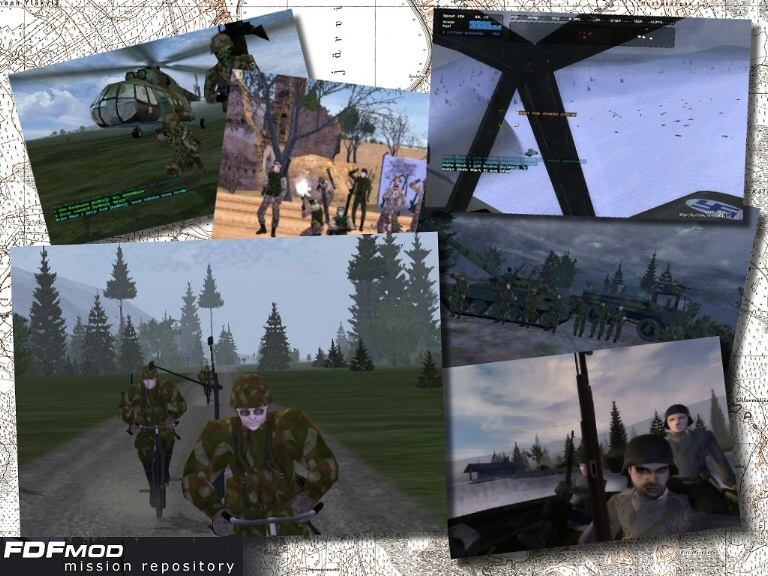 500 FDF missions – a new boundary was recently breached as FDF Mod Mission Repository recently received its 500th uploaded mission. The repository was established on March 3rd 2004 by Jus and Dr Origo with file space provided by Daddl. While presenting missions in several categories the overwhelming majority are co-operative missions with over 300 submissions so far. A nice set of custom campaigns and SP missions are also hosted and users are also able to rate and comment on the missions. The mission repository continues to evolve thanks to frequent submissions by mission designers like YOU and the dedicated site maintenance team! Tell please where it is possible to download these missions for FDF mod? Forgive I badly I understand English. Olisko mahdollista että noi tehtävät vois erotella Single Player ja Multiplayer Listoihin + mitkä on Campaign filuja niin nekin omaan listaan?